There was palpable excitement entering Lora Warner’s Government and Nonprofit classroom last semester. Her students were actively engaged with local Nonprofits through service learning; visiting sites, getting their “hands dirty” and evaluating each program to determine the best ways to measure and communicate the Nonprofits mission and success before formally presenting their recommendations directly to their professional Nonprofit partners. Why? Because for each Nonprofit organization, it is becoming increasingly important to stakeholders and donors to know that their time is well-spent and their financial contributions are making a difference. The Green Bay Botanical Gardens, CP Center, Curative Connections, The Farmory and The Birder Studio ARTreach program were nonprofits that received help from UW-Green Bay in spring 2018. Take ARTreach, an organization that partners with the YMCA’s after-school program at Green Bay area elementary schools deemed “at-risk,” as an example. As part of the program, K-5 students work with high school mentors and a program leader to experience music, art, theater and more importantly, life skills like self confidence, public speaking and working together. 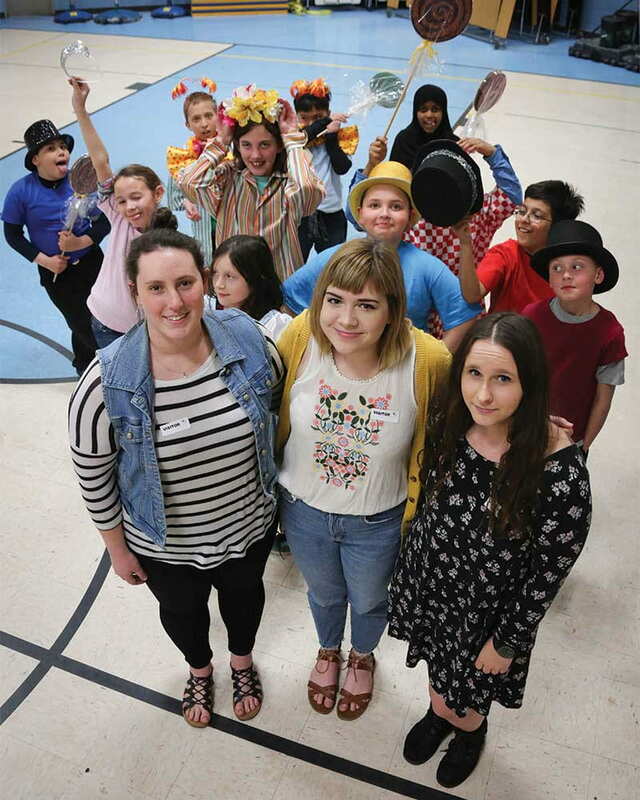 The program brings art to life for kids who may never have the opportunity to be part of an arts-themed program. In the foreground, from left to right, UW-Green Bay students Jessica Pittner ’18, Carly Newhouse ’18 and Tessah Dolata from Prof. Lora Warner’s “Program Evaluation” class, evaluated The Birder School ARTreach program to determine best ways to measure and communicate its success. 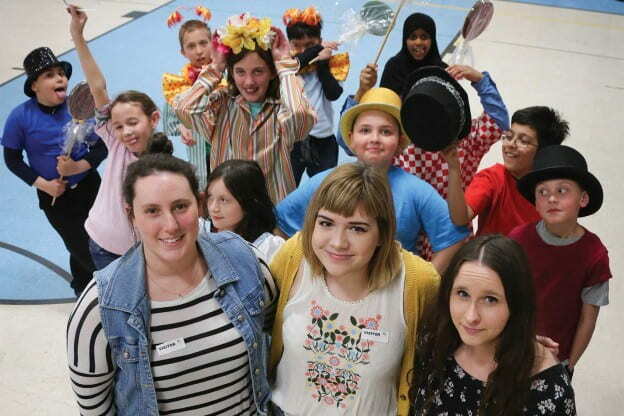 The after-school participants took a photo break during dress rehearsal for a future Wizard of Oz performance. This unique way of involving student and community is developed from Prof. Warner’s strong background in program evaluation. “Program evaluation helps measure the impact you’re having on the people in your program,” says Warner. “There’s something called the double bottom line; there’s financials, but then there’s the mission, the reason organizations receive donations — to accomplish good for the people that are part of the program.” Lack of staff, budget and time constraints can make it difficult for nonprofits to determine how to best show their success and measure their impact. Outcome measurement can have a profound impact on community philanthropic support, volunteers and overall participation in each program. In this partnership, local nonprofits have the benefit of utilizing fresh, intelligent and innovative ideas to develop impactful metrics and useful measurement tools. Teams of students observe the nonprofits, meet directly with leaders to learn about organization mission and vision, research best practices and then combine this with their knowledge of program evaluation theory to determine outcomes and develop a model that can be utilized by the organization. The direct application makes it more “real” for each student, which impacts their perception of the local nonprofit landscape. Warner has also observed the additional benefits of understanding outcome measurement and program evaluation through hands-on service learning; students in her classes are learning self-confidence, conflict management skills, critical thinking, and problem-solving. “They’re learning skills that are in high demand,” says Warner. “Program evaluation is something that employers want across all disciplines.” More importantly, students are developing into future employees that are well-prepared and able to effectively communicate their ideas and results. The presentation complete, questions asked and answered, the students happily relax to let their peers take their turn. Peggy McGee is poised to take the students’ recommendations for ARTreach and move this program forward, utilizing the outcome measures outlined. Already, she’s seen the positive effect this unique and valuable project has left on the kids involved in ARTreach. “For students in these schools to see others invest in them by observing and interacting, makes them feel valuable…that people are interested in who they are,” adds McGee. This story by Kristin Bouchard ‘93 originally appear in the Spring/Summer issue of Inside Magazine. This entry was posted in Leading & Learning and tagged CAHSS, Public and Nonprofit Management Class on September 21, 2018 by Kimberly Vlies.